Gyprock jointing tapes are used to provide strength and rigidity in the first coat of a three coat plasterboard jointing process. 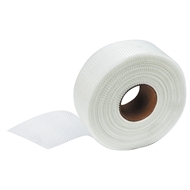 Gyprock tapes are also used in conjunction with a patching compound to repair dents, cracks and holes in plasterboard walls, ceilings and cornice. 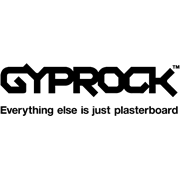 Gyprock Easy Tape is a self-adhesive, fibreglass mesh tape used with Gyprock compounds for repairing cracks and holes in plasterboard walls and ceilings. Easy Tape can also be used for taping wall joints but should never be used for ceilings.